(Berkeley) – New Jersey Department of Transportation officials and bicycle enthusiasts helped celebrate National Bike Month with a ride this morning along Island Beach State Park that served as a reminder that the Jersey Shore will be open for business this summer as a premier vacation and day-trip destination. NJDOT selected the Jersey Shore to promote bicycling because the Christie Administration has worked shoulder-to-shoulder with federal and local officials, residents and business owners in the aftermath of Superstorm Sandy to ready the Shore for summer visitors. Transportation officials announced that the Department has created a new online Bicycling Map and Resource Guide that indicates the suitability of state highways and county roads for bicycling, and announced the availability of digital bike tours that bicyclists can download to their smart phones to track their location and progress along numerous routes. The event also highlighted the economic benefits of bicycling including: infrastructure investment in bike paths; sidewalks and other Complete Street features; business revenues and employee salaries associated with the sale of bicycles and equipment; and bicyclist purchases in restaurants and other establishments. A Rutgers study estimates that bicycling and walking contributed nearly $500 million to the New Jersey economy in 2011 in direct and indirect impacts. “Jersey Shore towns and businesses have been rebuilding in the wake of Superstorm Sandy, and they will be ready to welcome visitors to enjoy the wide array of recreational, dining and shopping activities that make the shore such a special summer destination,” said Grace Hanlon, executive director of the New Jersey Division of Travel & Tourism. The New Jersey Bicycling Map and Resource Guide display state and county roadways and classify the suitability of each road for cyclists. This information promotes bicycling and safety by helping cyclists to make informed decisions on where to ride based on their level of expertise and purpose of the trip. Maps will cover the State on both a regional and metro-area basis. Additionally, the maps will display points of interest, such as cultural, historic and transit locations across the State. Bicyclists can view the maps online or print them out. The resource guide includes information on traffic laws, bicycle safety, transit access and more for cyclists to get the most out of their New Jersey cycling experience. 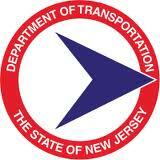 NJDOT also has converted its 18 regional guides into an enhanced digital format. The tour guides are geographically diverse, and feature rides for cyclists of all ages and levels. Cyclists can now use their smart phones to view the touring guide cue sheets, and track their route progress in real time. For riders who are more comfortable with simple maps, they remain available to be downloaded and printed as well. The digital maps are available on the NJDOT website. Click on the “njcommuter.com” tab, select “Biking in New Jersey” from the drop-down menu and select “Recreation” from the choices on the left side of the screen. The National Bike Month celebration began in 1956 and includes Bike-to-Work Week punctuated by Bike-to-Work Day which this year falls on Friday, May 17. NJDOT has helped build or fund hundreds of miles of bike paths around the state since 2000. In fact over the past two years New Jersey has been named as the seventh (7th) most Bicycle Friendly State in the nation by the League of American Bicyclists. Last year, NJDOT’s Complete Streets Policy received the top ranking for states that have adopted formal Complete Streets policies, according to the National Complete Streets Coalition. NJDOT’s Office of Bicycle and Pedestrian Programs coordinates and supports these efforts to create bicycle- and pedestrian-friendly environments around the state. The Department’s Complete Streets policy ensures that all future roadway improvement construction projects include safe accommodations for all users, including bicyclists. NJDOT also publishes two long-distance bicycle tour guides, the 238-mile High Point to Cape May Bike Route and the East Coast Greenway Multi-use Trail Guide. Some of New Jersey’s local Transportation Management Associations (TMA’s) have joined in the National Bike Month celebration and are sponsoring month-long events to encourage individuals to ride their bikes to work, run errands, and to make other trips.